“Israel will not tolerate this. I will not tolerate this,” Prime Minister Benjamin Netanyahu declared during a White House meeting with President Donald Trump. “Israel is responding forcefully to this wanton aggression,” he said. “We will do whatever we must do to defend our people and defend our state.” The Israeli military said it had retaliated with 15 airstrikes to the latest rocket attacks, hitting military sites for Hamas and the smaller Islamic Jihad group. 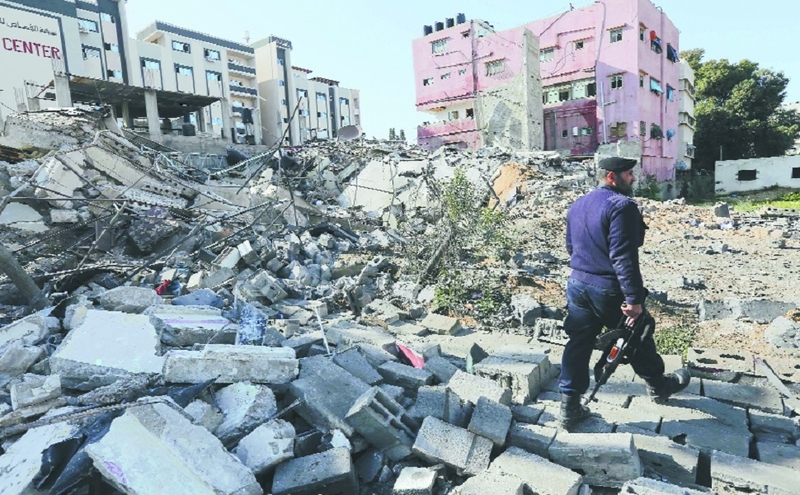 Gaza’s health ministry said seven Palestinians were injured in the fresh bombings. Ahead of the Israeli airstrikes, Hamas’ leadership went into hiding.